25 users are watching this product. 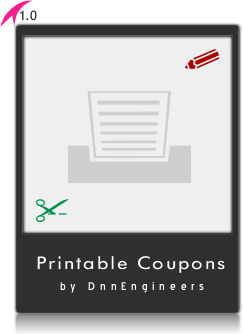 Display Printable Coupons on your Website. Drop as many Coupons as you like on single or multiple pages. Please note: For “Enterprise + 3 Custom Features” option, the required Custom Features must be discussed prior to purchase of this option, using Help Desk Ticket or by email to: [email protected], to confirm the feasibility of the required features in accordance with the module.